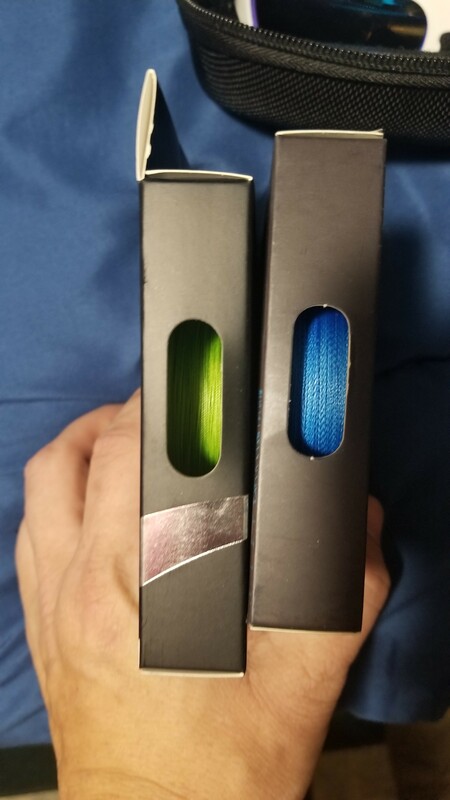 The green is the Godline X8 30lb and the blue is the Godline S 50lb. The glasses are cheap forsure! 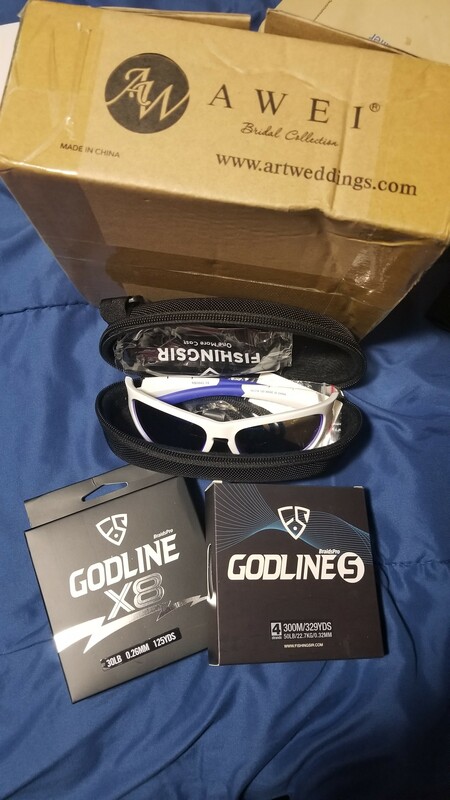 What's funny is the case/contents for the glasses are very well made. 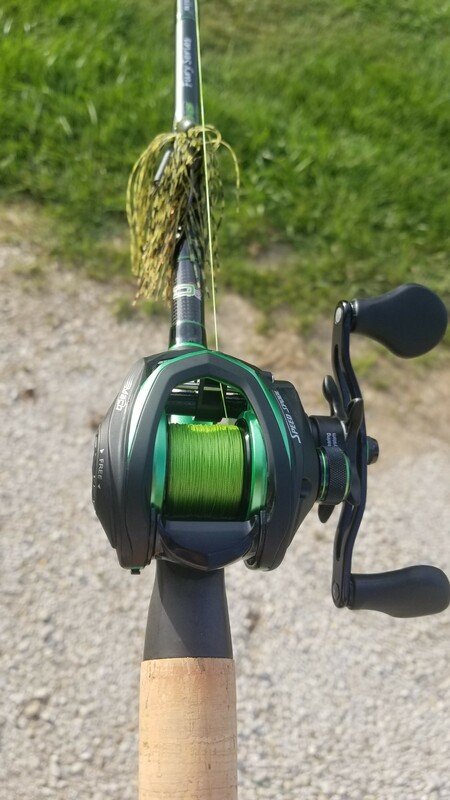 I spooled up the 30lb on the new Lews Speed Spool SPL with 8lb Stren line for a backing. I really like the color of the braid. It spooled up well and seems to not pinch in bad and when I get a backlash it is a LOT easier to get out. It doesn't seem to come apart either which I like! Used a polamor knot all day and it worked great. So far I really like the braid. I am going to spool up the 50lb once my Super Duty 300 comes in and I will keep reporting back with how it does. Thanks for a great report. Keep us posted as you get some more time with it.